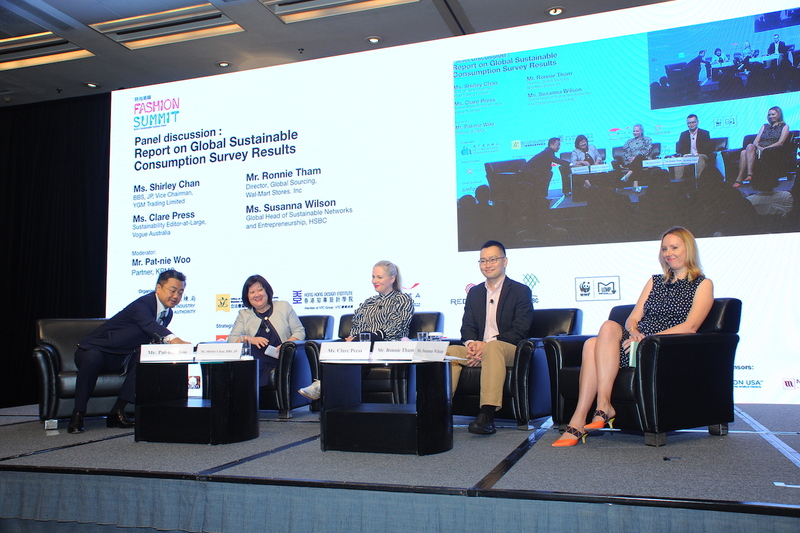 Sustainability is trending; carbon footprint reduction is all the rage; and digitalisation is obviously the hype of the century… so what’s better than combining all of them? 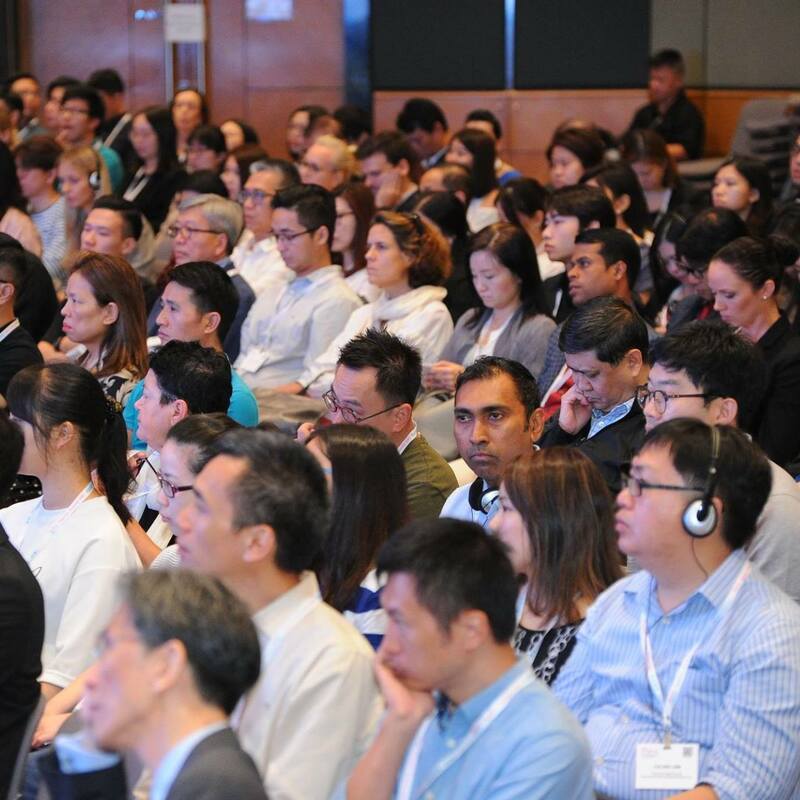 Fashion Summit 2018 is a conference about sustainable fashion in Asia. 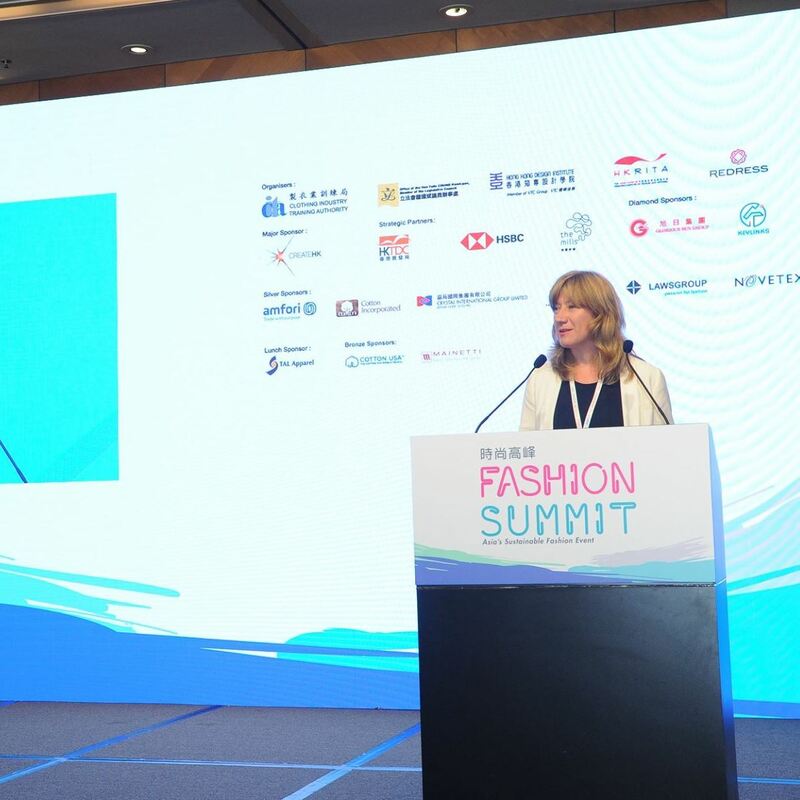 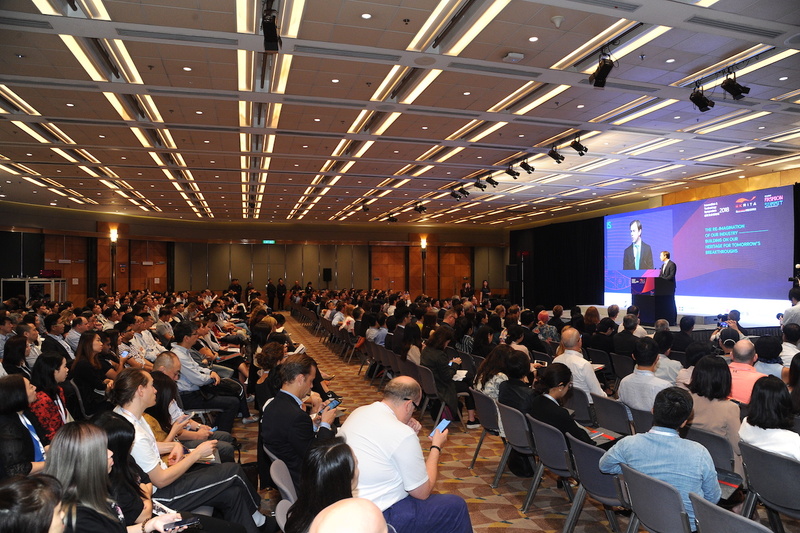 The summit plays a vital role to provide a sharing platform for participants from around the world to exchange insights on the latest sustainable fashion trends, technology, best practice, solutions, and opportunities. 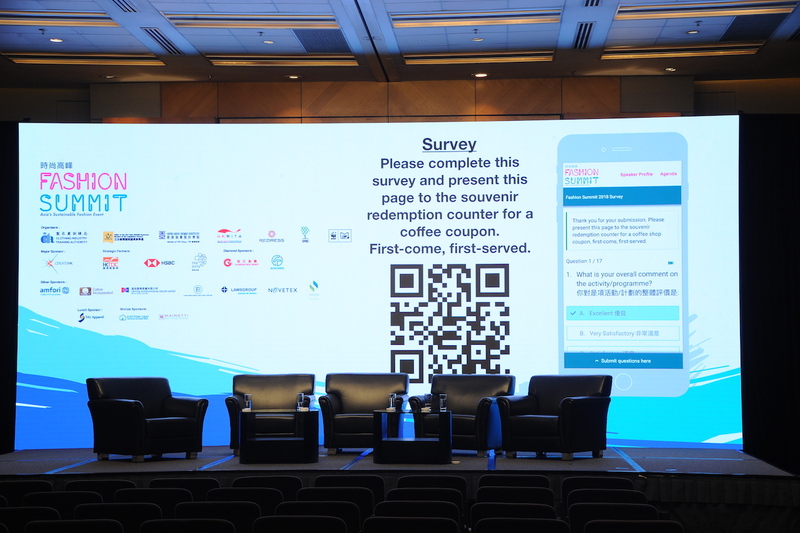 To help achieving its objectives as an eco-friendly event, NOVA handled every step from LED graphic design to design on audience engagement platform; photography to video highlight production; event management to logistics and production, all with sustainability in mind. 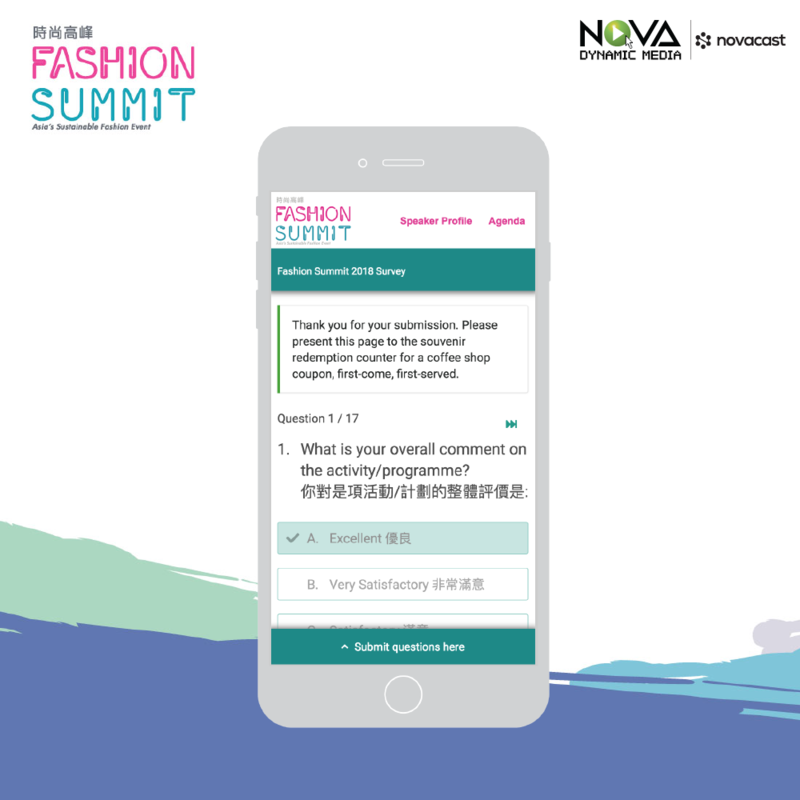 Highlight of the event is how Fashion Summit incorporated sustainability and digital survey with our novacast survey module, where audiences can simply scan the QR code on screen and complete the survey entirely online, no paper needed.